If you are planning to source for used deep cycle battery for your home solar system battery bank, there are many important considerations to be made. Size is one of those important aspects. In order to know which battery will best meet your needs, it is important to obtain several pieces of information before purchasing the battery. It is important to begin with the terminology that is common with batteries. One of these terms is that of “storage capacity” this term simply refers to the amount of energy that the unit can store. Usually this is represented in amp hours. This makes it easy to determine the life of a battery. For example, a battery that is rated at 1000 amp hours, will run 1000 hours for each amp that it contains. Considering how many amps a battery needs can be a difficult task, but it is very easy to figure out. Begin by thinking about how long the solar system will have to go without direct sunlight. If the night in your area lasts around eight hours, then it is important to make sure that the battery will last at least eight hours due to the fact that the system will be running on battery power. Also in poor weather conditions, you can typically aim for around 20% energy needed from the battery. Another important term is that of “series wiring”. This refers to the process of obtaining more volts from a battery as opposed to amps. A system in series simply consists of two batteries connected from one negative terminal to the positive terminal of another. Similar to the concept of series wiring is that of “parallel wiring.” This means that you are wiring the batteries in order to increase the amps in the system. Wiring batteries in parallel means that the positive end of one battery is connected to the positive of another. This is a great way of running your system when the sun is not out. 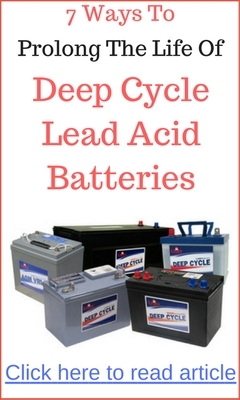 It is also important to determine if a battery is shallow or deep cycle. When a lead acid battery is purchased, one must determine the appropriate features. One of these features is if the battery is deep or shallow cycle. These two terms refer to vastly different batteries that have largely different purposes. A deep cycle battery is one that can essentially continuously use about four fifths, or about eighty percent, of its capacity. Whereas a shallow cycle battery will use a large amount of its charge over a shorter time period. Obviously a deep cycle battery is better for a solar system due to the fact that it lasts much longer than a shallow cycle. Once the basic concepts of batteries are understood, you are very prepared to make an informed decision about which battery is best for a solar power system. 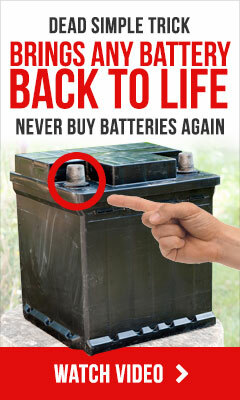 Being informed is very important so that the best battery for the job is purchased. Making a great battery choice will save you a great deal of time, effort, money, and energy over the years.